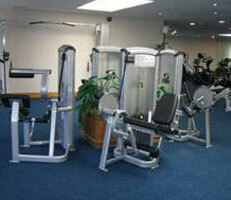 CYBEX creates and produces premium exercise equipment designed to improve physical well being, function and performance. Based on a sports medicine and rehabilitation heritage, CYBEX leverages its expertise in exercise science to provide innovative and technologically differentiated products and programs. To maintain their cutting edge position in the market, Cybex undertook a redesign of many of their exercise products, creating a more cohesive line of products with additional functionality and connectability to entertainment and workout management equipment. Venture was engaged to extend and complement their staff in their hardware and software development efforts. Venture worked with the client to create a marketing-driven specification that served to define the technical functionality required to accomplish these market goals. New display technology, new keyboard technology, and improved platform drive electronics were all incorporated into the new system. In addition, this system was defined as the engine for not only the treadmill product but also for the elliptical trainer and for the bike trainer. The product line has delivered a low price point that makes Cybex a cost effective choice for clubs and individuals while maintaining their reputation for premier performance.